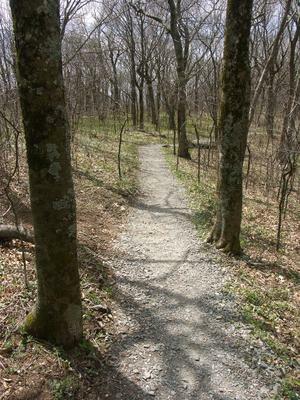 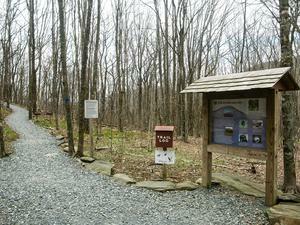 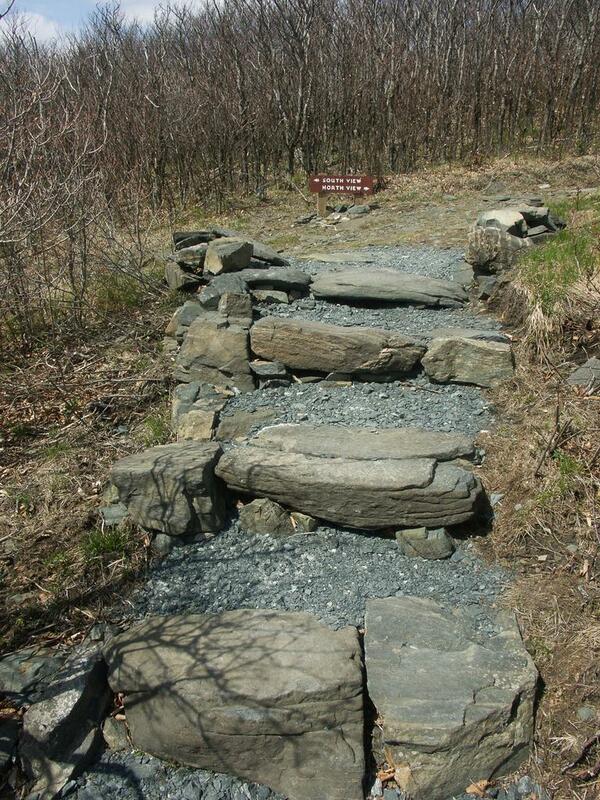 This trail is located in the Elk Knob State Park area. 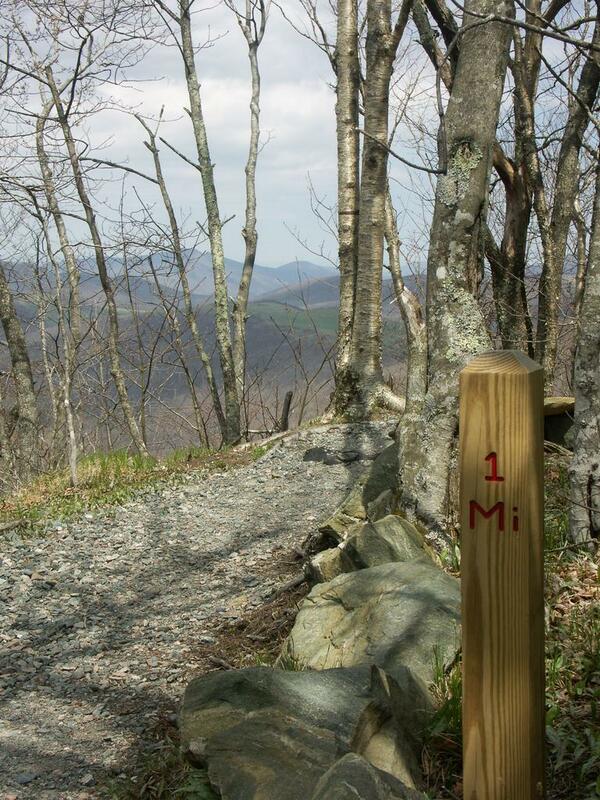 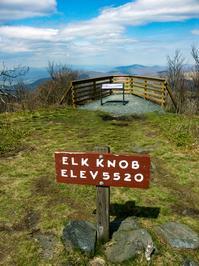 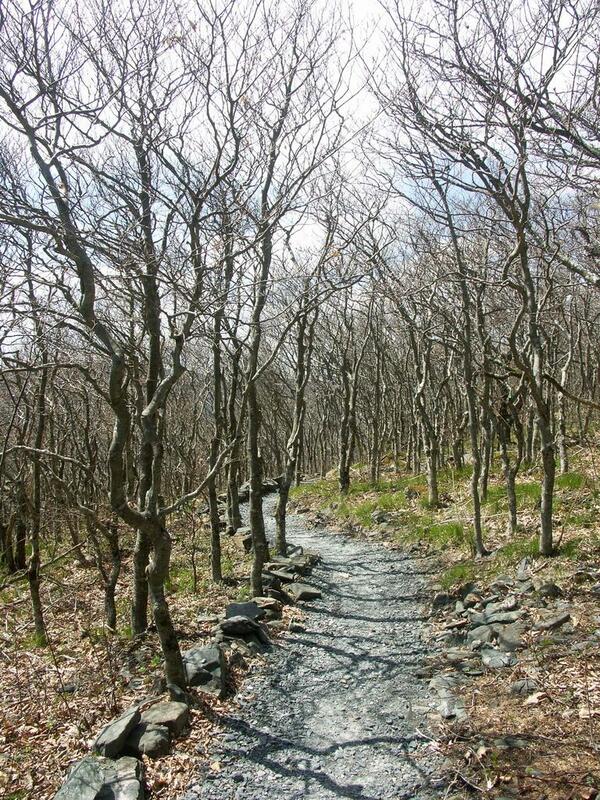 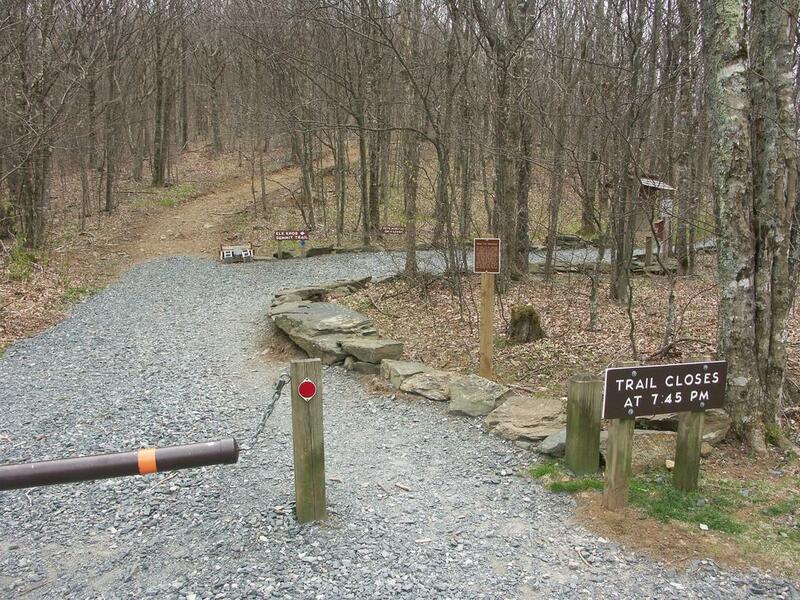 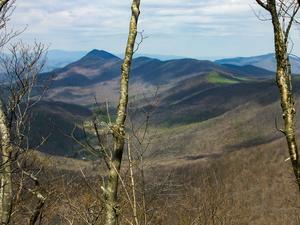 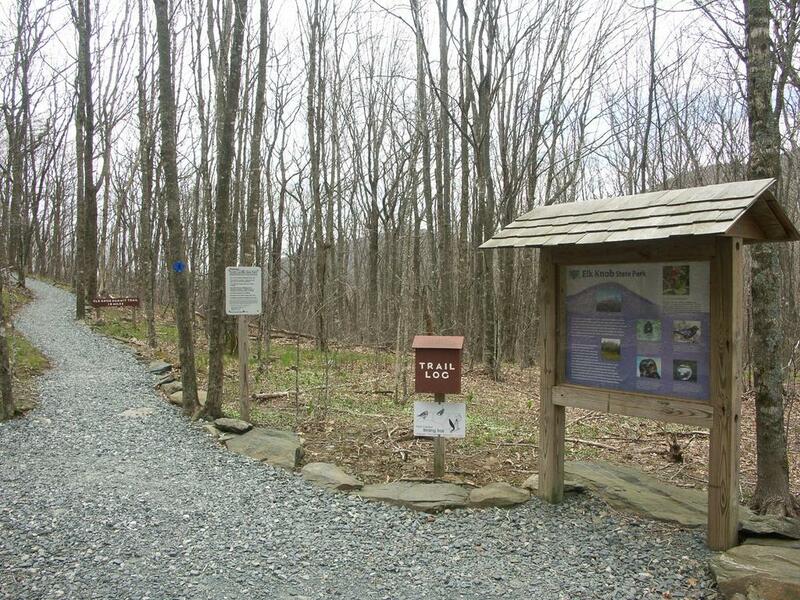 For a list of all the trails in that area, see the Elk Knob State Park trails list page. 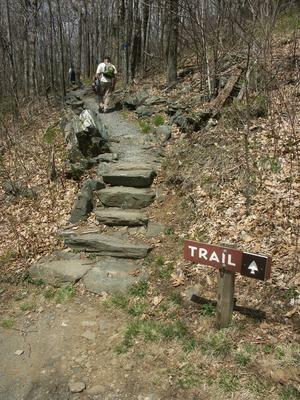 Climbs from the parking area to the summit, thru switchbacks as it goes. 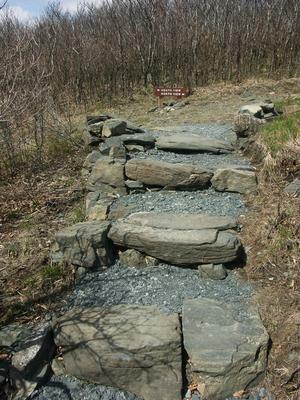 Crosses over an old road (which used to be the main route to the summit) several times on the way. Travels through a northern hardwood forest, which is open and attractive; near the top, the trees turn into miniature versions of the ones lower down the mountain, barely more than head-high. 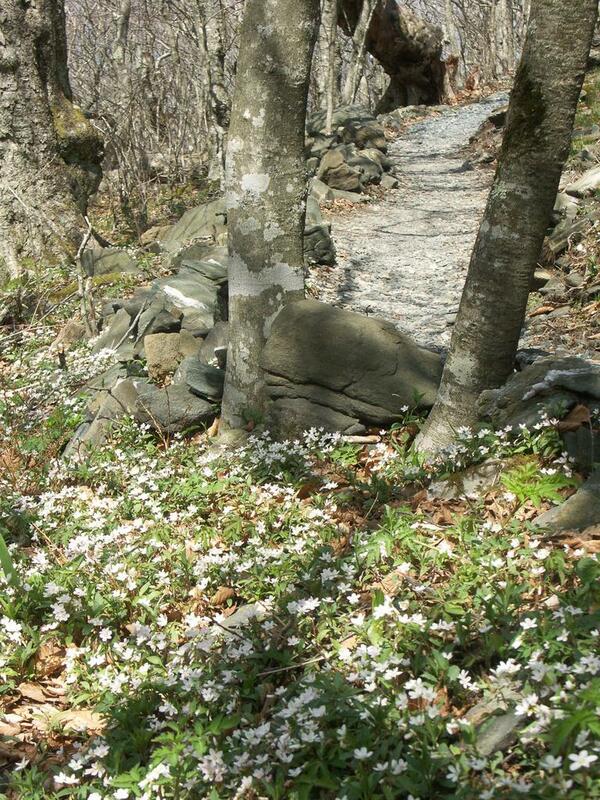 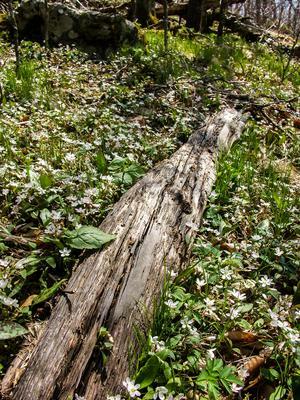 Carpets of wildflowers blanket the slopes in early spring. There's no real water to speak of except possibly one tiny tributary crossing after sustained heavy rains. 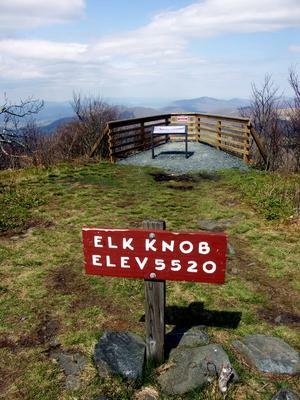 There are some limited (especially wintertime) views on the way up; the view from the top is spectacular and there are two main overlooks: one facing north, and one facing south. 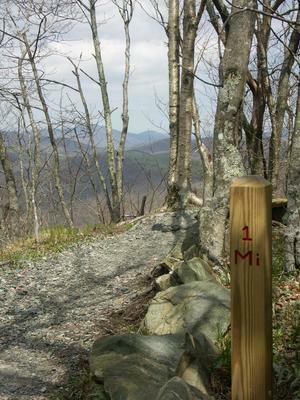 Peaks visible from the summit include The Peak, Three Top and Bluff Mountains, Mount Jefferson, Grandfather Mountain, Mount Mitchell, Mt Rogers (VA), and the Iron Mountains in Virginia and Tennessee. 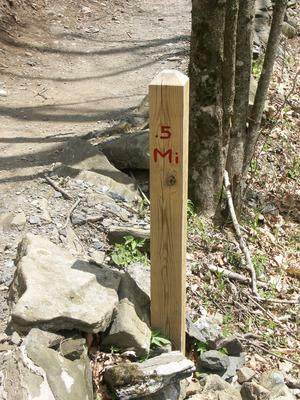 Scout&Rocky said: This a 1.9 mile hike that is clearly marked. 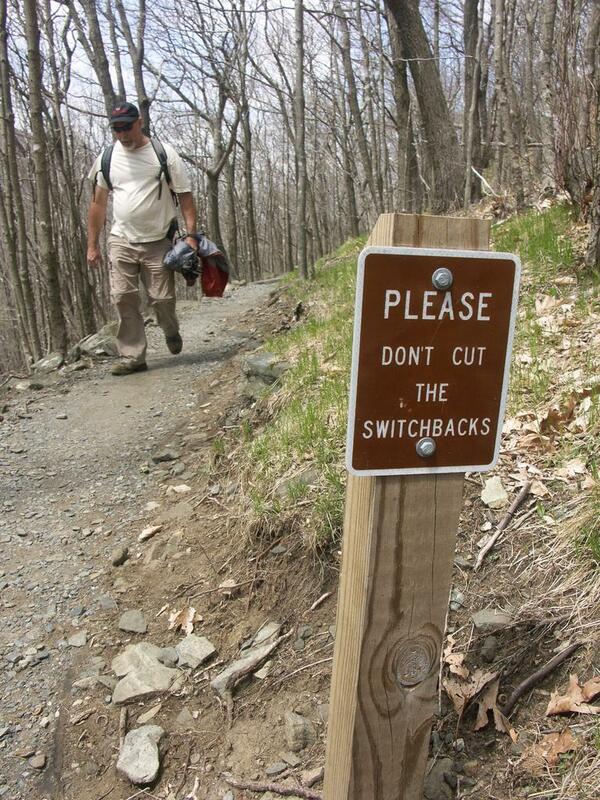 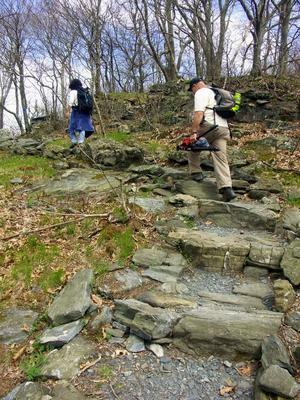 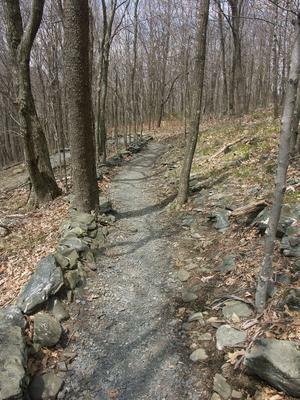 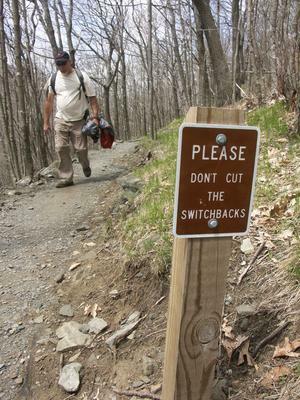 The trail is narrow and has switchbacks and resting spots along the trail (use them!). 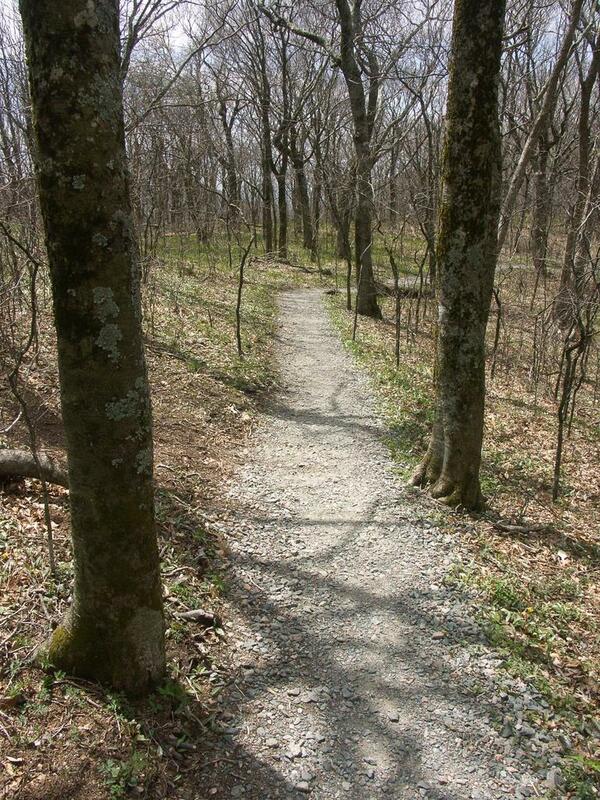 After the first half mile you feel the climb and wonder why everyone coming back shows no sign of the climb. At the 1 mile marker you start hearing others asking how much further to those coming down. 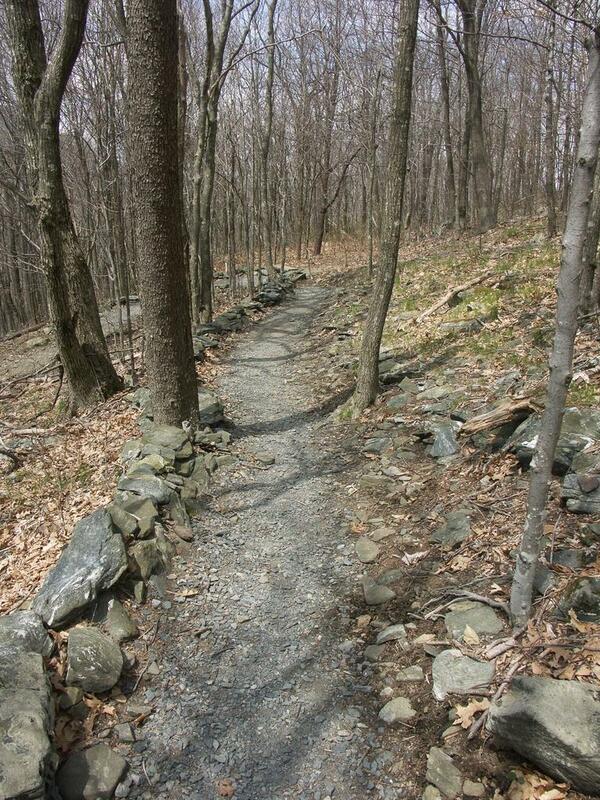 This is 1.9 to the top and it's uphill the entire hike. 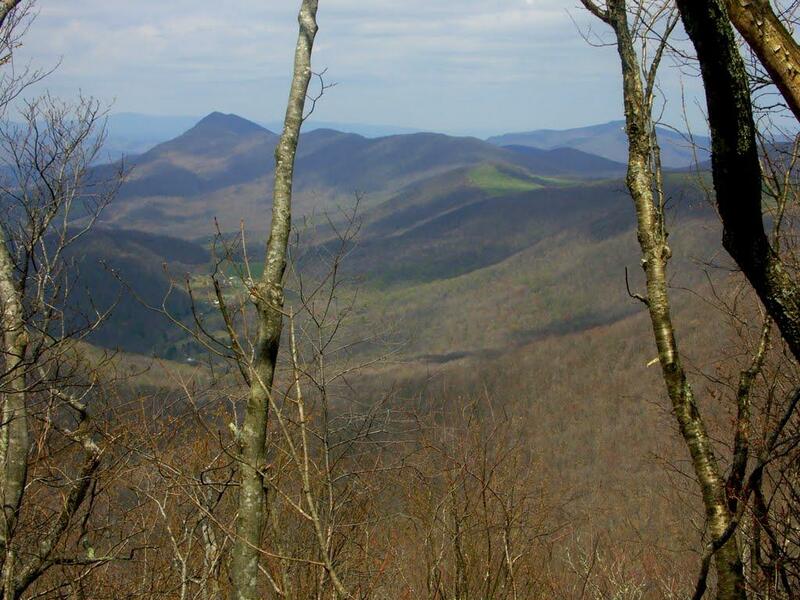 The views at the top are worth it (you can see forever up there) as is coming back down being the rested one seeing others look at you and wonder why you're not tired. 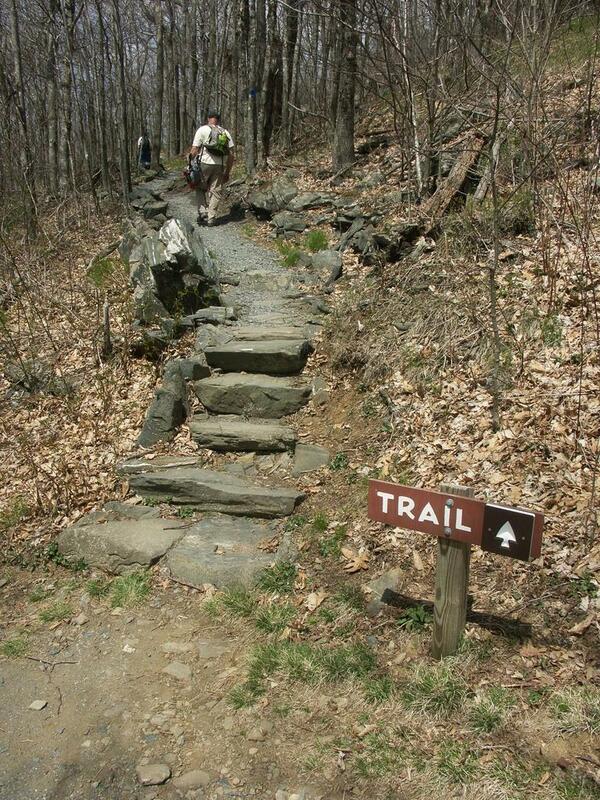 :) Yep.. down hill all the way back. 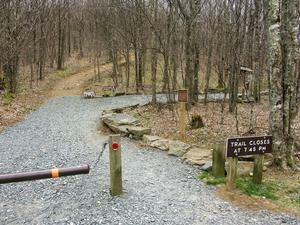 The park has a new picnic area and restrooms. 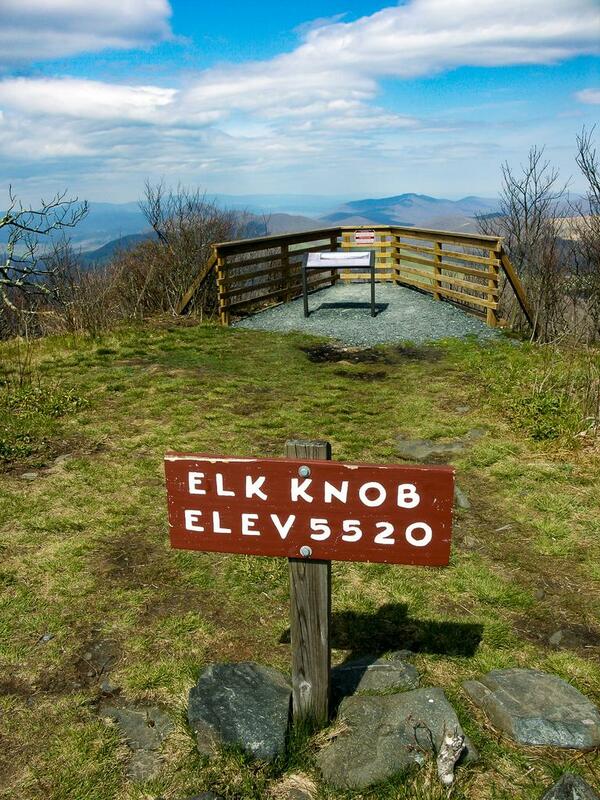 Nice park.